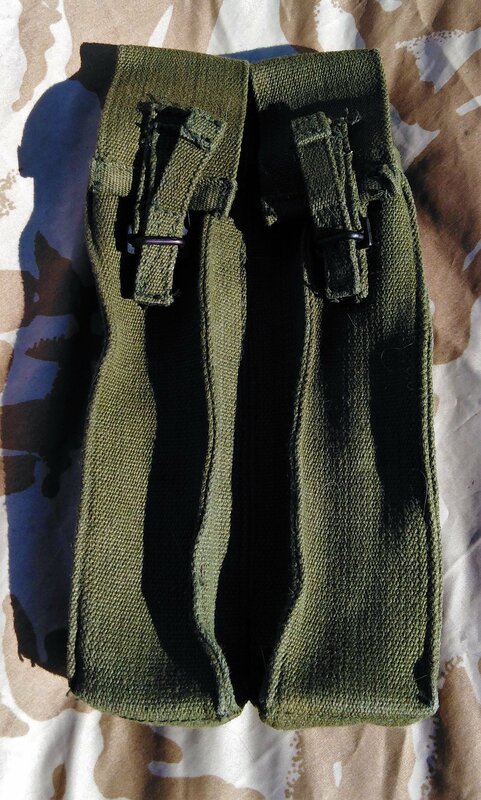 mint condition 58" SMG pouch! Hi I managed to buy a mint condition SMG double magazine pouch, for £7. will post a piccy asap. (I bought it from an antiques shop just off the highstreet, in Sheringham, Norfolk. loads of other kit there quite alot from the 1940's period. A nice find. Likewise I’ve acquired a few bargains over the years by going ‘off piste’ into antique / bric-a-brac emporiums. If they’re not militaria specialists, they often don’t know what things are worth. Sadly they know the price of some things, and how to overprice they were selling used S10 gasmasks with no pouch or extras, at over £60! 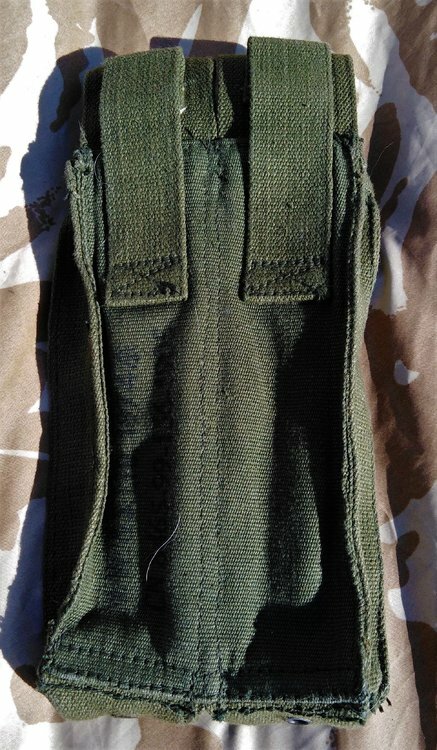 Here is the pouch I bought. wow laggy, it's taking some time to upload, kids are still at home, I took a load of piccys of my kit today but will have to wait for free wifi to load them up!